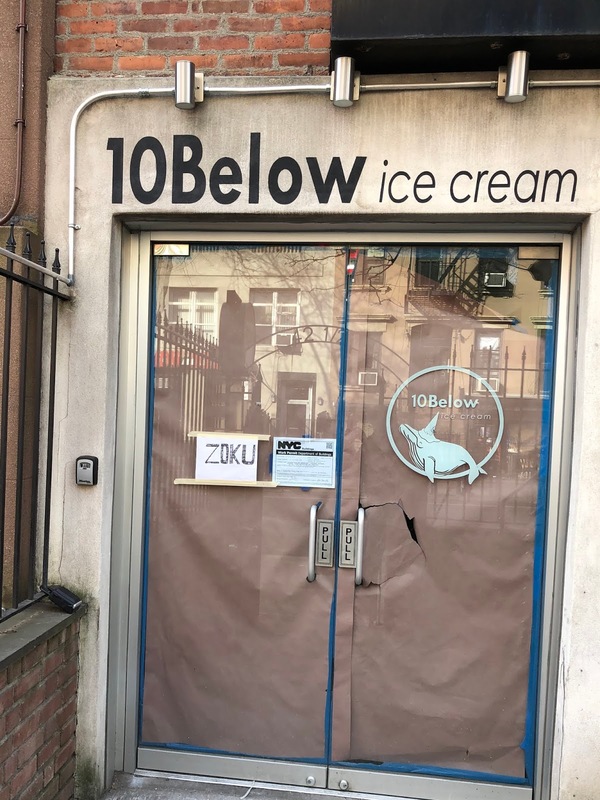 10Below Ice Cream closed earlier last month. 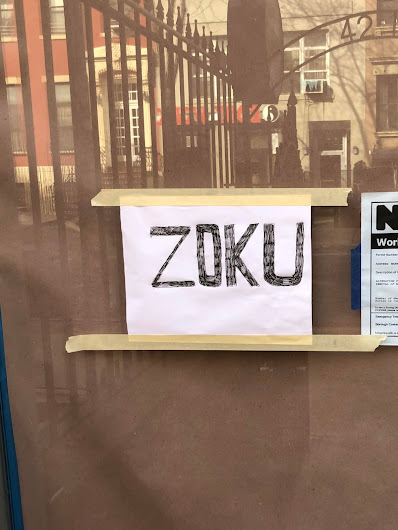 Paper went up on the front windows here at 42 1/2 St. Mark's Place, and the address was removed from the 10Below Ice Cream website. 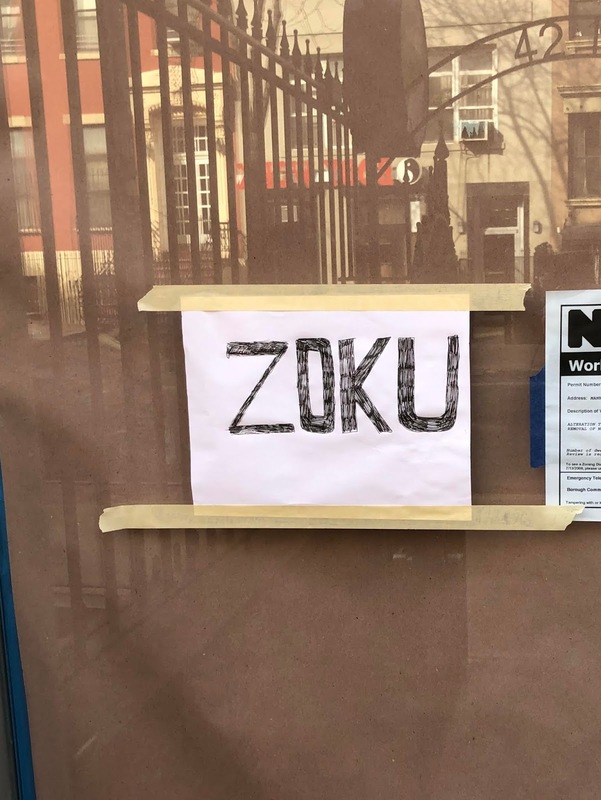 Zoku looks to have been in the catering business in recent months. More about them later. 10Below, billed as the first establishment serving Thai-inspired ice cream rolls in NYC, opened on St. Mark's in September 2016. Another rolled ice cream shop, Lab -321, opened at 27 St. Mark's Place in June 2016. They closed six months later.